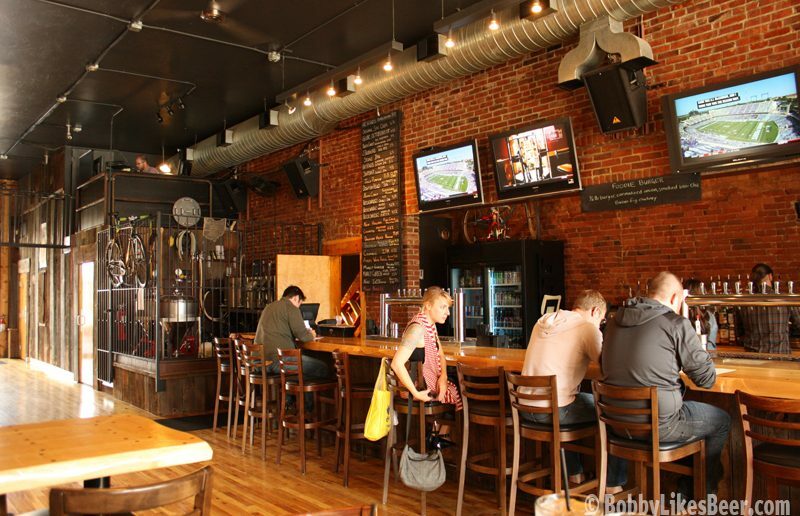 Ohio City is no stranger to great bars and breweries. These days, it seems like there’s a new one popping up on just about every corner. While the competition can be stiff, Nano Brew cuts through the noise thanks to its amazing brews, charming decor and wonderful staff. 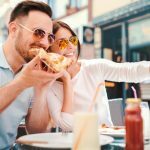 On top of all of that, they also have a huge menu full of all kinds of American classics — apps, soups, salads, burgers, sandwiches and more! Locals love the “Acid Trip Burger” (Cheddar, pickled onions, slaw, balsamic reduction, and spicy mayo) for $9, and the “Everything Pretzel” (House made pretzel, everything seasoning, cream cheese) for $6.50. They have great menus for all meals, especially brunch! Brunch is served every Saturday and Sunday morning and includes great breakfast dishes and cocktails. Fan-favorites include the “Hangover Fries” (Waffle fries, scrambled eggs, bacon gravy, cheese sauce and green) for $7, the “Namber Chili” (Black bean chorizo chili served with cheddar cheese, sour cream, and green onions) for $5, and the “Apple Cider Donut Holes” (Six made-to-order apple cider donut holes, tossed in cinnamon sugar and served with caramel sauce) for $5. On to the beers, the focal point of Nano Brew! They feature 24 beers on draft all the time and they constantly mix up the menu so you can always go and try something new. They list their current beers on their website, or you can always just ask the knowledgeable bartenders for their recommendations. Current favorites include the “Butcher and the Brewer Repeater Kolsch” (Cool, fermented with a prominent Noble hop nose. Light, crisp, and thirst-quenching) and the “Shacksbury Semi Dry Cider” (Robust and fruity Apple varieties – Jonagold, Spartan, McIntosh, Empire, Ellis Bitters, Browns, Michelin, Somerset Redstreak, and Dabinett). No matter the time of year, there is always a great beer to try at Nano Brew. The interior is complete with a minimalist, modern layout and simple design. There’s an outdoor patio with string lights and large tables, perfect for a summer night out. The theme of the place is bikes — you will find them just about everywhere you look, on glasses, the walls, everything. This is due to the fact that they are right next to Joy Machines Bike Shop. The two organizations have collaborated on the Nano Brew Bike Tune-up Station inside the bar. At this station, you can literally work on fixing your bike all the while having a beer with friends. And the best part? You can use all the tools you need to fix your bike for free! Regulars keep coming back is thanks to the great service they receive each and every time they visit. The staff is more than just a bunch of brilliant bartenders, they are kind and helpful people that truly want the best for their customers. That’s not something that can be said about most restaurants. Next time you need a new place to grab a cold one (or a place to fix your bike! 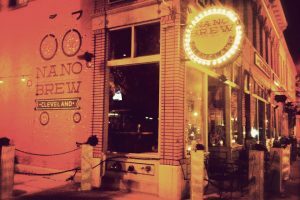 ), bring your group to Nano Brew! Stop in at the downtown location at 1859 West 25th Street Cleveland, OH 44113. Call the restaurant at: (216) 862-6631 or visit their website.